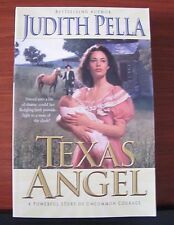 Judith Pella The Lone Star Legacy 2 in 1 “Frontier Lady & Stoner’s Crossing”. Hard cover. The Stonewycke Trilogy. The Heather Hills of Stonewycke. Flight From Stonewycke. The Lady of Stonewycke. Judith Pella and Tracie Peterson. Distant Dreams. Ribbons of Steel Book 1. Frustrated by society's expectations upon her gender, she longs to study more masculine subjects and is thrilled when her father grants her a tutor. This is Tracie Peterson & Judith Pella paperback book in like new condition except a black line on the bottom of the pages. I take pictures of the book, dust covers and anything else I can think of. Oh, and don?t forget these clothes have been worn and washed more than once. 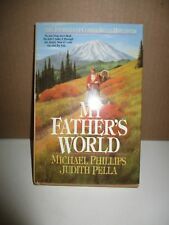 5 Books by Al & Joanna Lacy, Michael Phillips & Judith Pella, George McDonald..
Al & Joanna Lacy. George McDonald. See Photos. The Tender Vine: Diamond of the Rockies - Book 3. Kristen Heitzmann. STONEWYCKE TRILOGY and. The Heather Hills of Stonewycke (1993) #1. The Lady of Stonewycke (1995) #3. Shadows Over Stonewycke (1995) #2. Judith Pella series Judith Pella --. RUSSIANS and more-- Lot of 8. #3 - Travail and Triumph. #1 - The Crown and the Crucible. #2 - A House Divided. Photographs are of the actual books. The first two books of the Ribbons West Series by Judith Pella and Tracie Peterson. These are trade size soft cover inspirational Christian Romance books. Photographs are of the actual books. 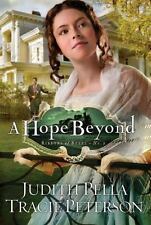 The first two books from the Lone Star Legacy Series by Judith Pella. #2 - Stoner's Crossing. #1 - Frontier Lady. Julie Klassen. Tracie Peterson. Judith Pella. Lot 14 Paperback Books. Very good condition. Non smoking. A Daughter's Inheritance. A Lady OF HIdden Intent.